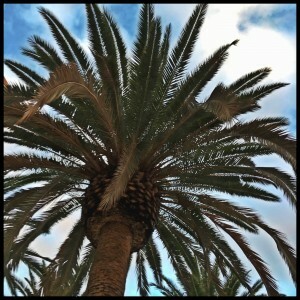 The first version of the program for our upcoming meeting in Pasadena is now available here! This means the time to register for the meeting and book your hotel room is NOW. Full details are available on the website! Remember the deadline for hotel reservations and pre-registration is January 11! 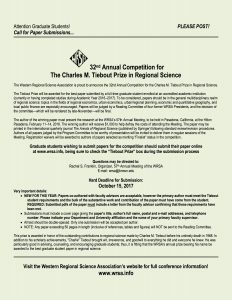 Pasadena Paper Submission Deadline Extended to November 17! Surprise! It’s the traditional extension of the paper submission deadline for our annual meeting in Pasadena, California, next February 11-14. As in past years, we will accept submissions until mid-November. This year’s FINAL deadline will be November 17. Be sure to get your paper submitted before then! Ready to submit? There’s no reason to wait until the last minute. Simply use the Login/Register link at the left to upload your paper and register for the meeting. See the Annual Meeting tab for all the important meeting details! We are also still looking for several students to assist with meeting registration in Pasadena. In exchange for 8-10 hours of volunteering at the registration desk, students will receive a complete rebate of their preregistration fees (worth $150, to be processed as a refund following the meeting). TODAY — October 15 — is the final deadline for Tiebout Prize Submissions! Current and recently-graduated students: planning to submit your research for the 32nd Annual Tiebout Prize? TODAY, October 15, is the last day for submissions! Upload your paper via our online system and be sure to check the “Tiebout Prize” box. Good luck! 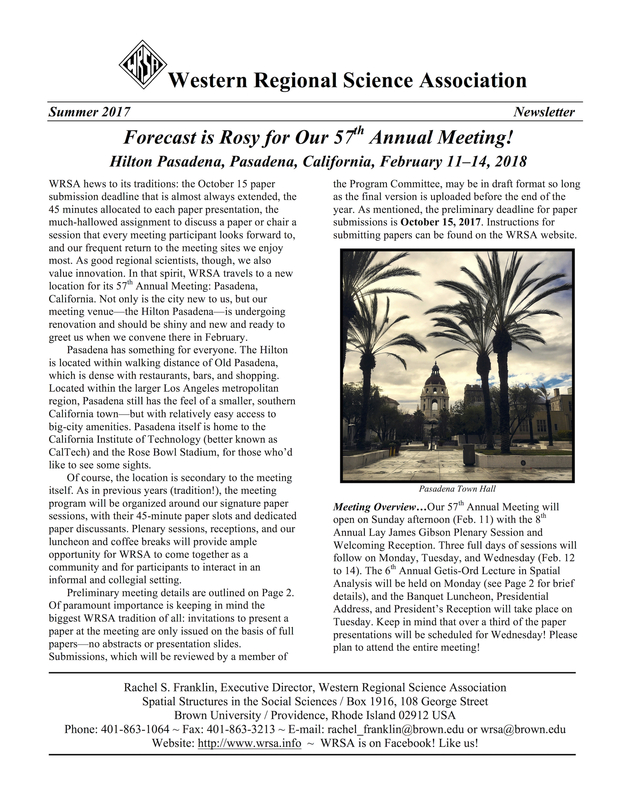 Check Out the Summer 2017 WRSA Newsletter for the Latest on Our 2018 Meeting + Much More! 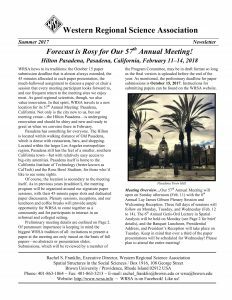 The Summer 2017 WRSA Newsletter is here and it’s got everything you need to know about our February, 2018, Annual Meeting in Pasadena, California. Take a look inside for paper submission and meeting registration instructions, as well as hotel reservation and Pasadena travel details. Along with preliminary meeting information, the Newsletter contains a full rundown on our 56th Annual Meeting this past February in Santa Fe, NM, including meeting highlights, awards, and a few photos. WRSA 2018: Planning for Pasadena! 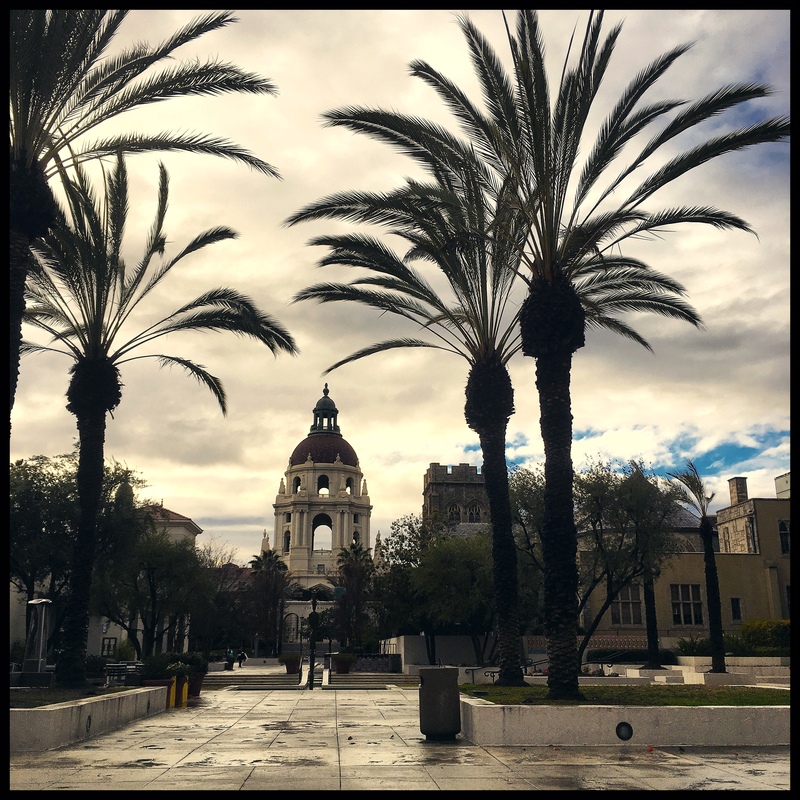 For our 57th annual meeting we’re heading somewhere completely new: Pasadena, California, and the newly-renovated Hilton Pasadena. Our meeting dates are February 11-14, 2018, with opening plenary and reception scheduled for the afternoon of Sunday (Feb. 11), followed by three full days of sessions on Monday, Tuesday, and Wednesday (Feb. 12-14). Our meeting hotel is the Pasadena Hilton, which is in easy walking distance of Old Town Pasadena’s restaurants, bars, and shopping. Our negotiated room rate is $199/night (plus taxes and fees) and will include internet. See the “Hotel Information” link to the left for room reservation instructions. Full meeting information will be available in the upcoming Spring/Summer Newsletter (be sure to renew your membership in order to receive!) and on the website. Check back in the weeks to come! Some things never change, however: keep in mind our traditional October 15, 2017 deadline for submission of full papers! Final Meeting Program for Santa Fe! Here is the final meeting program for our 56th Annual Meeting in Santa Fe. Naturally, some further changes will occur: see the registration desk in Santa Fe for late-breaking cancellations. Caveat lector! The updated meeting program (current as of Feb. 5) for our Santa Fe conference is available here. Papers will be sent to session chairs and discussants based on this version! WRSA Santa Fe: Preliminary Meeting Program! The UPDATED (current as of Feb. 1) preliminary program for our upcoming conference in Santa Fe is now available here. This means the time to register for the meeting and book your hotel room is NOW. Full details are available on the website! 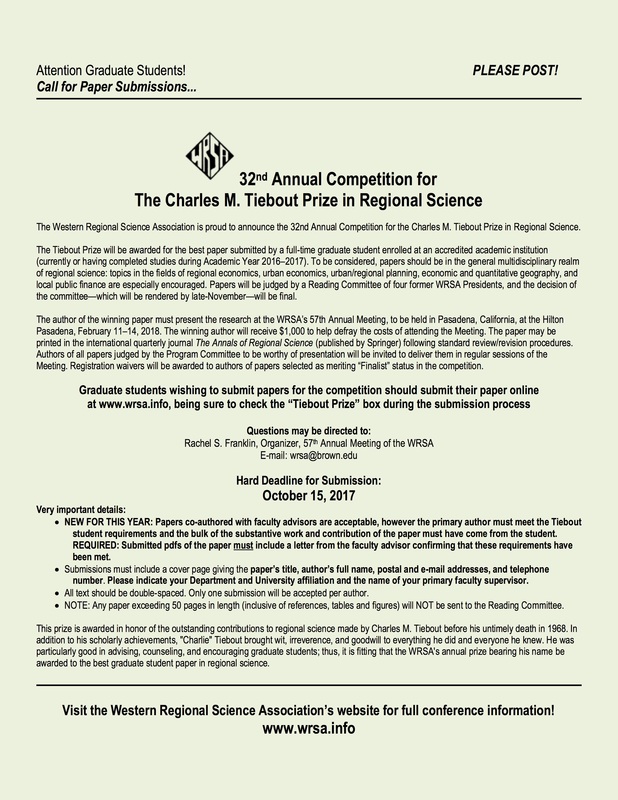 Last Call for Paper Submissions for WRSA Santa Fe Meeting! Today, November 18, is the final day for submitting papers (draft format at this stage is fine) for our 56th annual meeting, to be held February 15-18, 2017 at the La Fonda on the Plaza in sublime Santa Fe, New Mexico. See Annual Meeting tab above for full details on submitting papers, registering for the meeting, and reserving your hotel room! 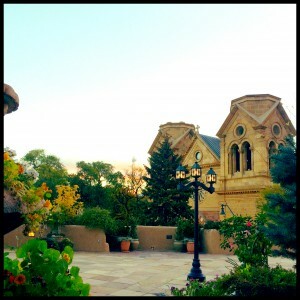 Hope to see you in Santa Fe!